The newest Fortnite LTM Playground Mode introduced in update 4.5 has been removed from the game following networking instability errors causing the game's servers to go down. One of the problems surrounding games like Fortnite which receive constant updates is that sometimes things don't work out as planned, and it appears that this is a lesson Epic Games has learned once again. In addition to new features like Dual Pistols, the game's latest update version 4.5 introduced an all-new Playground LTM (short for limited-time mode) that seems to have caused some major problems with servers going down and general matchmaking instability. In short, the game mode was simply not working. The solution from Epic Games, simply enough, has been to remove Playground LTM from the game pending a resolution of various errors. Seeing as how the Playground mode was pitched the latest Fortnite feature, many players were eager to hop into the game and see how things worked. Perhaps it was this spectacular bout of user interest that spawned the issue, prompting many players who stopped by the Fortnite server status page to see a host of errors related to "stability and performance issues" plaguing the game and disallowing players from joining servers. 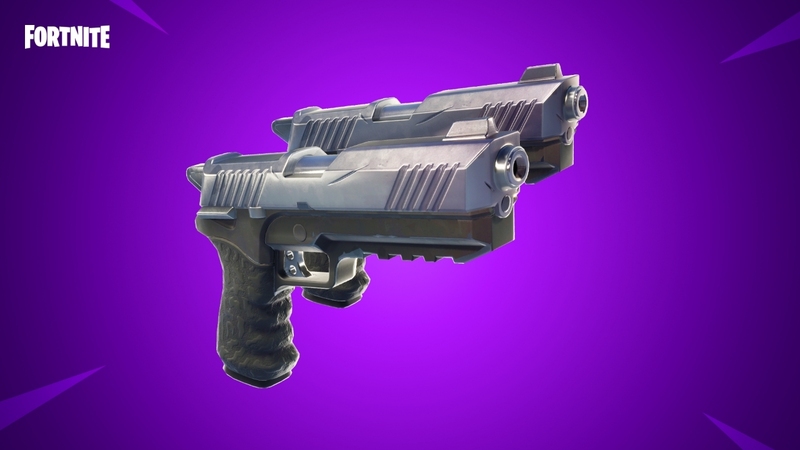 The latest Fortnite update version 4.5 introduced both the Playground LTM and the Dual Pistols weapon. For now, the Playgrounds mode has been pulled, but Epic Games assures fans that they're working on a quick patch that should get the game mode back up and running. Once it does, of course, players can check out the Playgrounds LTM freely, a mode that allows players to join together with up to three of their friends and get a feel for the game without the pressure of nearly 100 other players looking to gun them down. In addition to a distinct lack of fatal pressure, the Playground LTM also offers an increased amount of loot, weapons, and ammo in the world, and the storm won't close in on players until 55 minutes after they join the match.